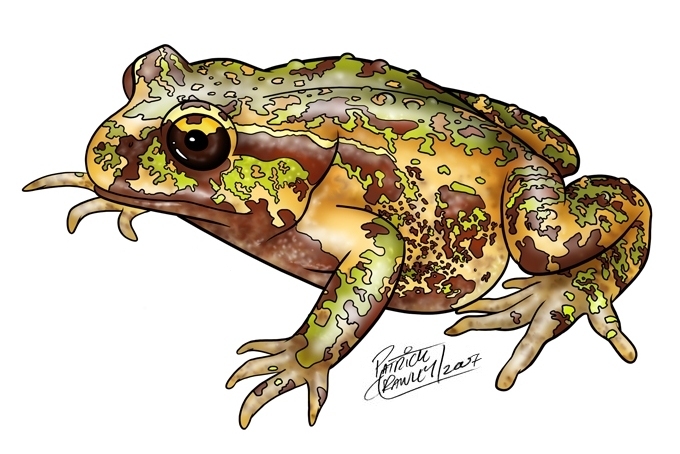 Unfortunately, the New Zealand Government wants to make a quick buck by mining some of the beautiful New Zealand forests which are home to Archey’s frogs (Leiopelma archeyi) and Hochstetter’s frogs (Leiopelma hochstetteri). If this goes ahead then we will be able to document the extinction of two more frog species. Archey's Frog. Iamge: Patrick Crawley. In the 1990s areas of New Zealand that were considered to be of “high conservation value” (including many National Parks) were placed on Schedule 4 which recognised their conservation significance and proclaimed them as a “No go” area for all other activities. The New Zealand Government is now asking for public submissions about their proposal to remove some of this high conservation value land from Schedule 4 to open it up for mining (coal, gold iron ore and rare minerals). The areas to be mined include several long-term frog monitoring sites where the frog populations have been continually monitored for over 40 years – this represents the best data on frog populations anywhere in the world. In addition the proposed mining area includes the ‘type’ locality of Archey’s frog (Tokatea on the Coromandel Peninsula) and Hochstetter’s frogs (Coromandel Peninsula). Archey’s frogs only occur in two areas of New Zealand and the Coromandel is considered the ‘stronghold’ population. “Save our frogs – stop the mining” really is the biggest issue in New Zealand conservation – of course saving the long-tailed bat, woodroses and a North Island brown kiwi along the way is important too! These endangered frogs (Archey’s are Critically Endangered losing 88% of their population since 1996) are just hanging in there and without our help they will disappear. If we destroy their habitat then we will quickly lose a part of one of the most important pieces of New Zealand history as well as a large piece of the amphibian evolutionary tree. We have a moral obligation to protect these original inhabitants of New Zealand – the little people of the forest. 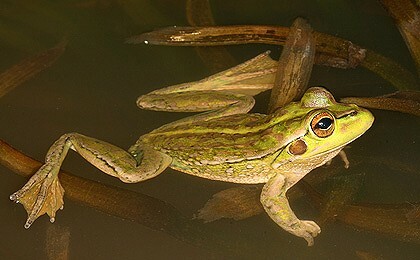 A male Gastrotheca cornuta (Marsupial Frog) at the Atlanta Botanical Garden. On the way home from an Amphibian Ark Conservation Needs Assessment workshop in Guatemala, I stopped by Atlanta for a few days, primarily to work with Atlanta-based internet marketing agency, Moxie Interactive (Moxie is helping to redevelop AArk’s web site, but more about that in a future post), but I also took advantage of being in Atlanta to visit the botanical garden. The Atlanta Botanical Garden (ABG) has been involved in a number of breeding programs for endangered Central American frog species since the late 1990s. 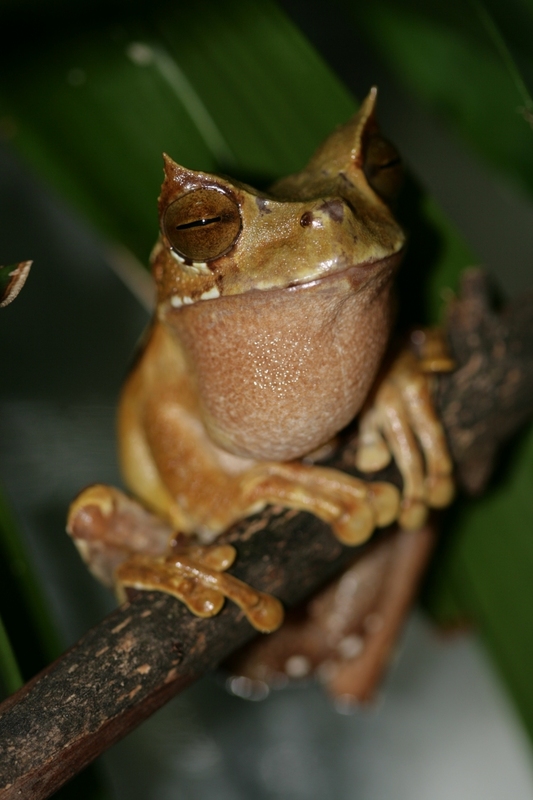 They have been successful breeding speices such as Gastrotheca, Anotheca etc. 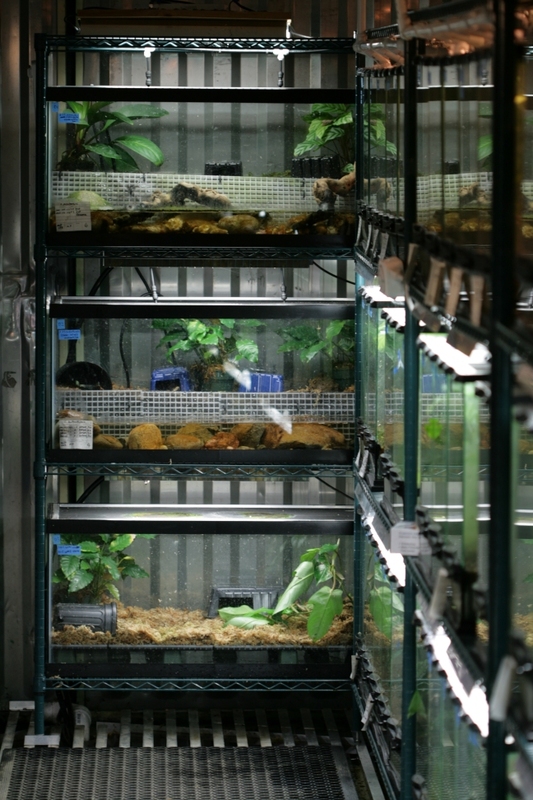 and currently maintain over a hundred animals in various enclosures, both on display in the Fuqua Conservatory, and in off-display breding facilities. The ABG also makes use of a specially designed “pod” for much of it’s breeding efforts. The pod has been created from an un-used shipping container, and was modelled closely on the original amphibian pod designed by Gerry Marantelli from the Amphibian Research Centre in Melbourne, Australia. You can read more about amphibian containers on the AArk web site. I’d like to thank ABG Amphibian Specialist, Robert, for taking the time to show me around the amphiban facilities, and I would strongly encourage people to pay a visit to the ABG to learn more about their very successful amphibian conservation program. Just back from a very quick but productive trip to Santiago and Concepcion to see the current breeding facilities for Darwin’s Frog Rhinoderma darwinii. This unique species was historically found in many places in Chile and Argentina but habitat loss and other pressures have worked to dwindle its numbers. The only other species of Darwin’s Frog Rhinoderma rufum has not been seen in many years and continues to elude field researchers. Both exhibit forms of parental care with the male carrying tadpoles in it’s vocal sack. The National Zoo facility in Santiago is coming along really well. The building looks fantastic and will surely be a treat for visitors peering into the lab. Atlanta Botanical Gardens staff were there recently installing tanks and plumbing and Marcela and Mauricio are working hard to get things polished off. It will serve as an excellent facility for showcasing this important conservation effort and the commitments of the players to keep it going. I think they hope to start with a few specimens this winter if I recall. The Atlanta Botanical Garden has launched a website at www.savedarwinsfrogs.org detailing their efforts on this project. The Concepcion facility is also looking good. Marcela Tirado and I visited for the day and by luck met up with Klaus Busse who was in town. Klaus offered much of his wonderful experience to Dr. Juan Carlos Ortiz and graduate student Carlos Barrientos who have been maintaining eleven animals there since April 09. I witnessed a very solid connection made between National Zoo and Concepcion staff regarding husbandry issues, food colonies, and overall collaboration on their programs. My hunch is that they will reproduce them very soon, as we observed calling and amplexus all day! I remember reading how the ecosytem of North America’s midwestern prairie changed when buffalo were killed off in the 1800s. Buffalo dung, in particular, was a key part of the ecosytem and affected wildlife and vegetation. Which brings us to the discovery that Asian elephants in Sri Lanka have been propping up the amphibian population in that arid land — by creating dung piles in which several species of amphibians can live. Full story HERE. The foothill yellow-legged frog is especially susceptible to the chemicals such as endosulfans, which kill by essentially overloading the nervous system and rendering breathing muscles useless. Europe and Australia each have banned the use of the chemical as a pesticide, and the U.S. Environmental Protection Agency also is studying the issue, Sparling said. Sparling is optimistic humans can find ways to both farm on a large enough scale to feed the population and protect non-pest animals. You have to see this video from BBC showing tadpoles swarming their mom to feast on her infertile eggs. This rare glimpse is something you wouldn’t be able to see if it weren’t for the captive breeding programs of organizations to save endangered species. It’s all connected to the umbrella program of Amphibian Ark. The remarkable footage was recorded at the Durrell Wildlife Conservation Trust, in Jersey, which took in 12 of the rescued frogs. Twenty-six others went to Parken Zoo in Sweden, and 12 are now housed in ZSL London Zoo.